Summer is just around the corner and warm weather means shoppers will be flocking to their grocers’ freezer cases for cool and delectable ice cream treats. 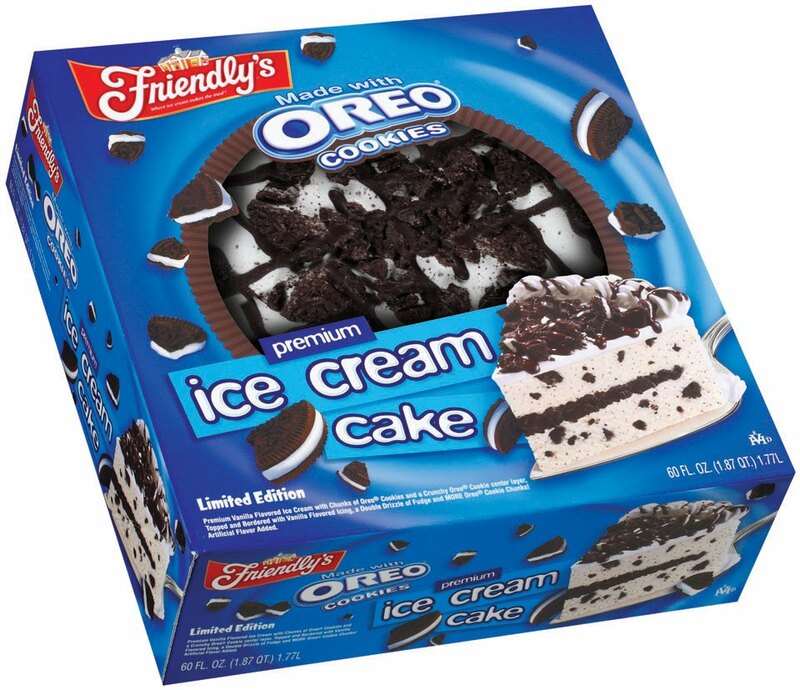 Friendly’s, the ice cream and restaurant company known throughout the eastern U.S for its ice cream cakes, has teamed up with Kraft, the company that markets the successful Nabisco line of cookies and snacks, to create the Oreo Ice Cream Cake. 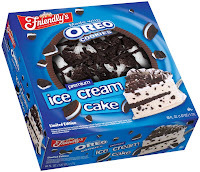 This combined confection of ice cream and the popular Oreo cookie features two layers of Friendly’s premium vanilla ice cream with chunks of Oreo cookies, separated by a crunchy Oreo cookie center layer. The ice cream cake itself is topped off with vanilla flavored icing, more Oreo cookie chunks and a double drizzle of fudge. Friendly’s says the cakes are being introduced just in time for graduation and Father’s Day gatherings. Suggested retail price for the 60 oz. ice cream cake is $19.99. Friendly’s is clearly in the “party mode” as it has also rolled out ice cream cupcakes, made with a chocolate cake topped with Friendly’s vanilla ice cream, whipped icing and decorations. The cupcakes come in a clear clamshell container with six cupcakes to a package. Suggested retail price for the package of six is $6.99.